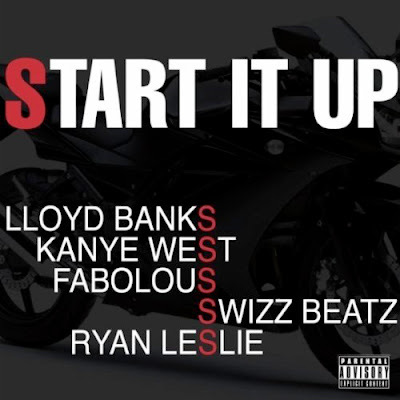 What can be said about "Start It Up?" First and foremost, the Cardiak-produced beat just goes and may well be one of the best instrumentals I have ever heard. The emcees do more than live up to the epic backdrop, providing the listener with superb verses (for a pop-oriented song). Of particular interest is the rhyming of West, who provides the listener with a verse far superior to anything he delivered on My Beautiful Dark Fantasy--an album that best showcased both his greatest strength (innovative production) and his most deficient weakness (lyrics). "Start It Up" displays Yeezy's lyrical wit that has been severely lacking in his music since the days of "Gold Digger." With the other artists providing solid additional verses, this song is perfectly packaged as a well-put-together, anthem-worthy pop hit and I may have to take a closer look at Banks' latest release, The Hunger for More 2. As a bonus, I've included an extended version of the song featuring an additional verse by The Clipse's Pusha T, courtesy of NahRight. Enjoy.